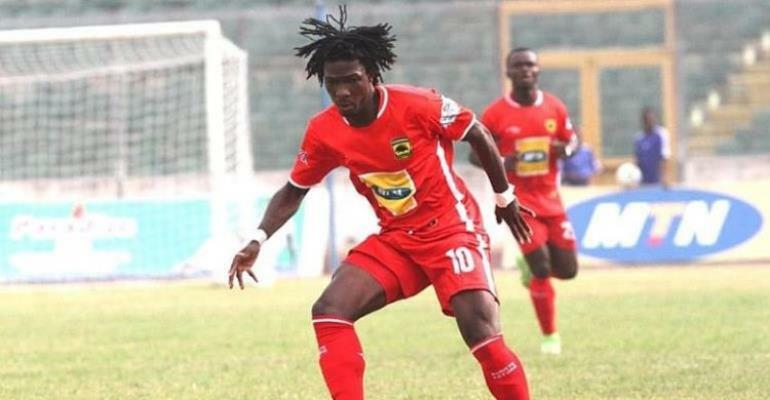 Songne Yacouba To Leave Kotoko? According to reports, Asante Kotoko have agreed to allow Songne Yacouba leave the club should they receive any good offer from interested clubs. The 27-year-old and his representatives on Monday met the management of the club and pleaded with management to allow the player leave the club. However, the management after the meeting have decided to allow the player leave the club should they receive any good offer for the striker. According to Kumasi based Oyerepa FM, the Burkinabe has received offers from clubs in the French League. Meanwhile, Asante Kotoko have paid all outstanding bonuses owed to the player. Songne Yacouba has picked an injury which saw him miss the Special Competition game against Aduana Stars on Sunday. He last played for the club against Al Hilal in the CAF Confederation Cup matchday five.